When we are present we are able to appreciate life. When we recognize that each moment is a new one, we can see that what has been, does not limit what can be. And we are able to make choices in each present moment that serve our highest good. Take a moment today to sit in the light of compassion. Compassion suports us in being more understanding- of ourselves and of others. Compassion brings way to forgiveness, and love. 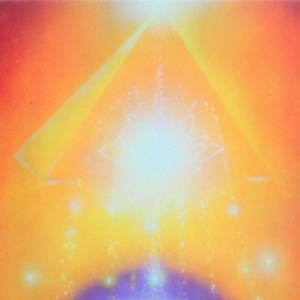 "Supporting you on your highest aligned path of growth and awakening." The Tree of Life is a term we hear often, but what does it mean? It is a safe space, full of nutrient information and love where we can access our own inner knowing. A place where we can communicate with the Divine, our inner Divine, and the Divinity of the Universe that exists all around us. Where is this Tree of Life? They are all trees of life. We are all Trees or Life! Under The Tree of Life offers a few unique gift opportunities. 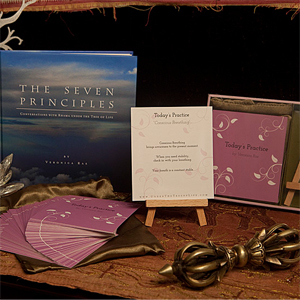 You can purchase The Seven Principles or Today’s Practice Card Sets. Both items make great gifts and are intended to support the reader accessing their light and power. The book and cards evolve with you, so as you grow and take steps what you receive from each page, and every practice may shift. The Seven Principles came through me while I was on a meditation retreat in Brazil in 2009. What I thought was merely a journal entry is now a simple, yet powerful book that has just come through it’s second edition printing. 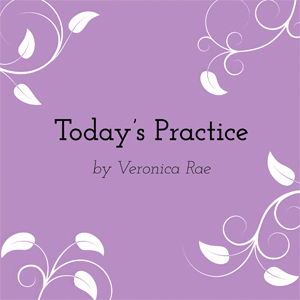 The Today’s Practice Card sets are a compilation of 52 different practices all intended to support your growth. Today’s Practice is a simple exercise that it intended to align you with your higher self. The practices, which are meditations, visualization and sometimes simple reminders, are here to be a service supporting you in your growth.